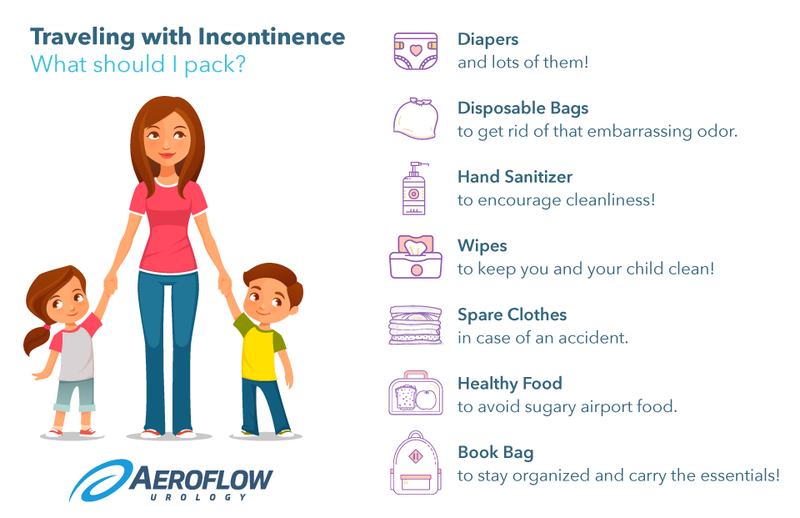 Traveling with Pediatric Incontinence #infographic ~ Visualistan '+g+"
Your life won’t slow down due to pediatric incontinence, but it could make traveling a little more intense. Even if the idea of getting through the airport or a long car trip while keeping your child accident free seems intimidating, don’t cancel your trip. This infographic can help you pack. Enjoy Yourself and Relax Stress can spread! Remember to turn off that little voice filled with worry in the back of your head to relax and enjoy your trip. It will be a special time filled with family memories. Stress can spread like wildfire, cause minor issues to get out of control. With proper planning and incontinence treatment, your trip will be just fine.